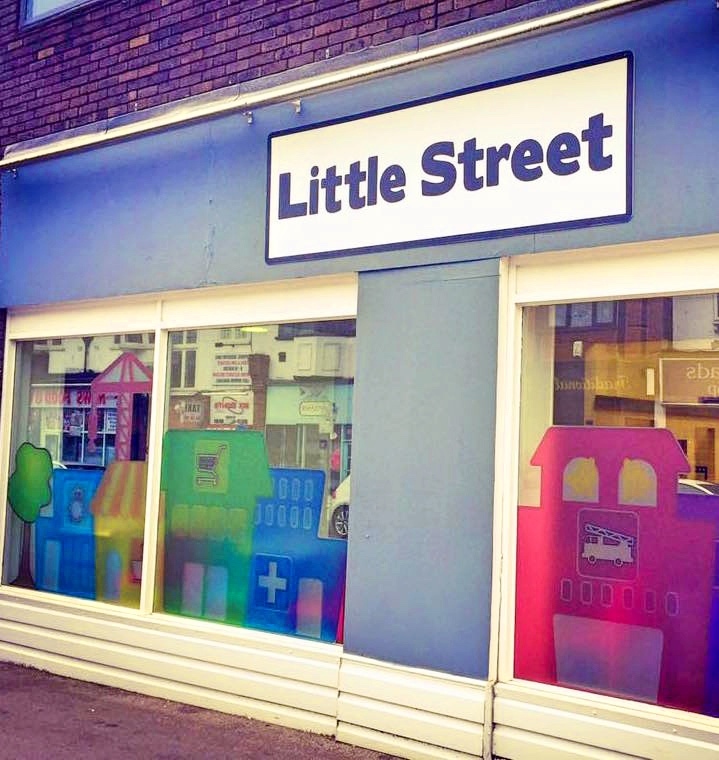 Back in June, the newest branch of Little Street opened in West Byfleet to rave reviews. 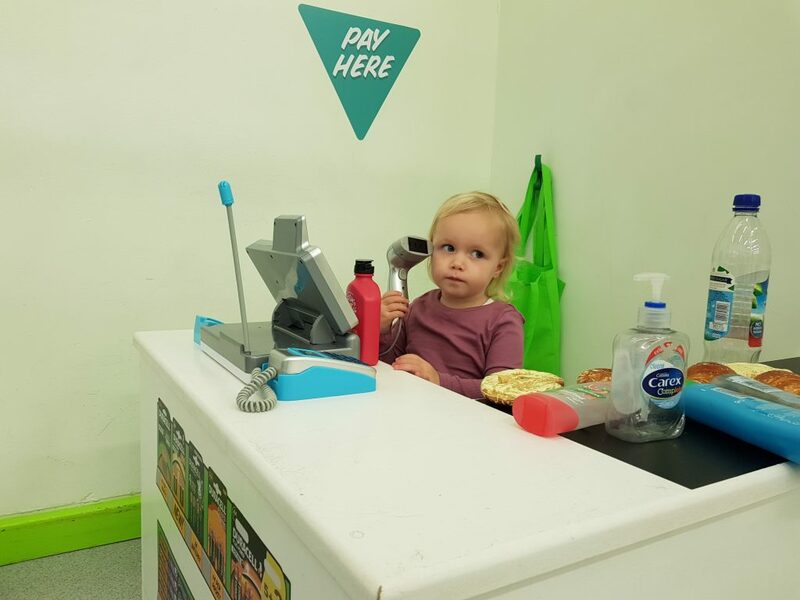 I had been desperate to take Baby Dais Like These since it opened, and finally got round to visiting last week, along with her big brothers. 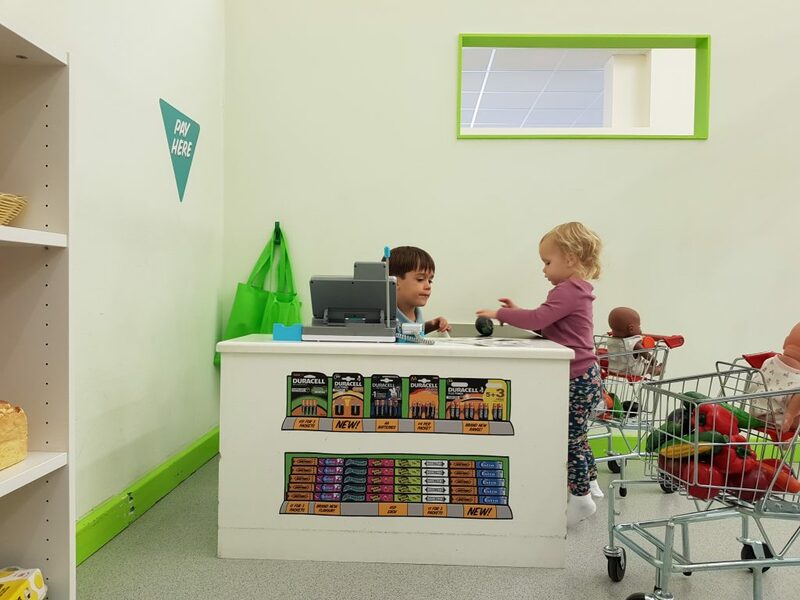 Little Street is a play cafe with a difference; the play area is made up of a child sized street where kids can immerse themselves in a world of role-play in a variety of different play sections. 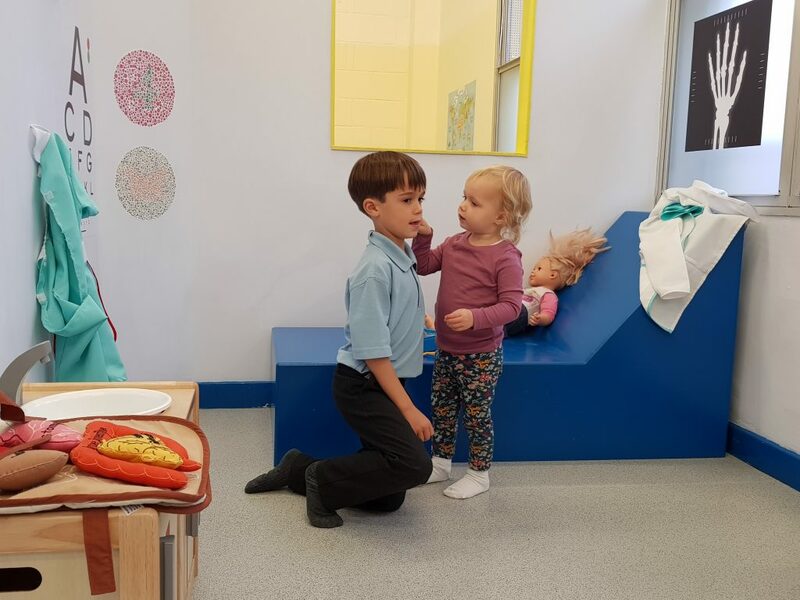 With a supermarket, school, construction site, doctors surgery, picnic area and theatre with dressing room; there is something to ignite everyone’s imagination. 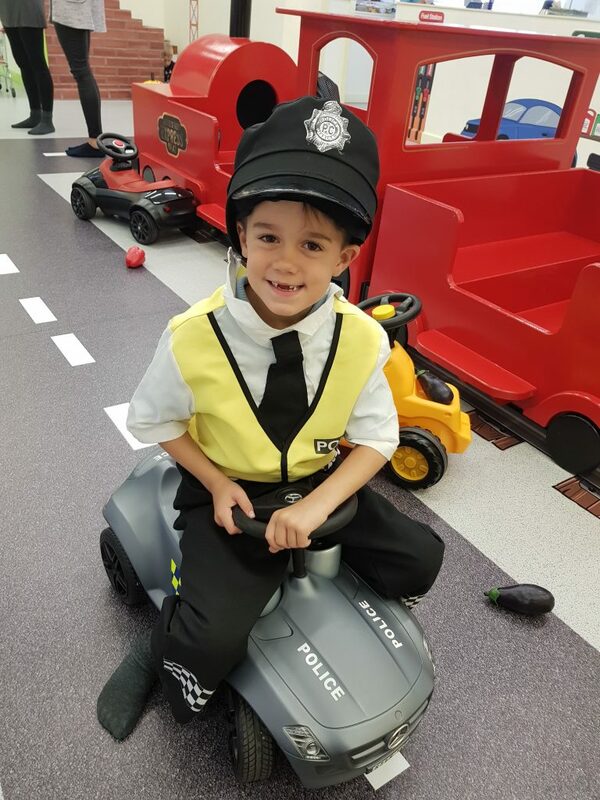 Set around a central road complete with ride on cars and motorbikes, each area is set up with props and dressing up items so that little ones can really get into the moment. 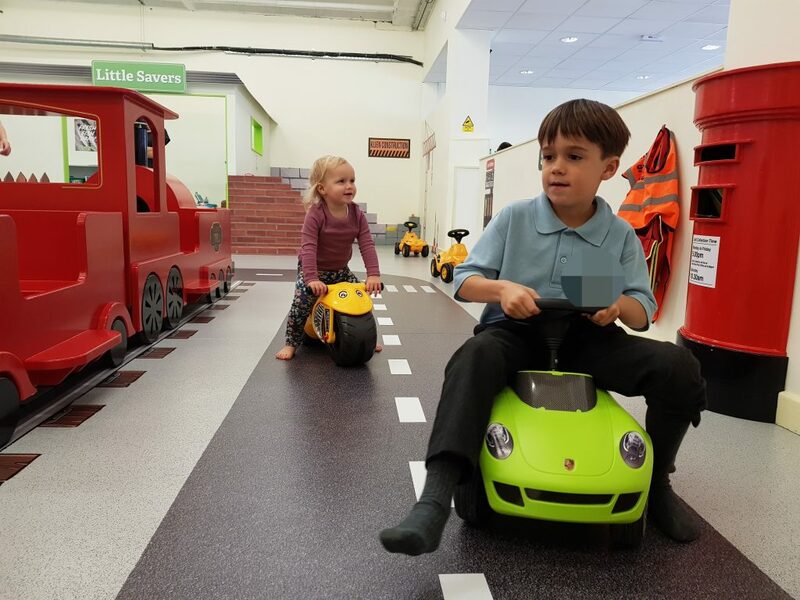 The beauty of Little Street is that they offer four play sessions a day and limit the numbers of visitors during those sessions so that each family can get the most out of their play time. 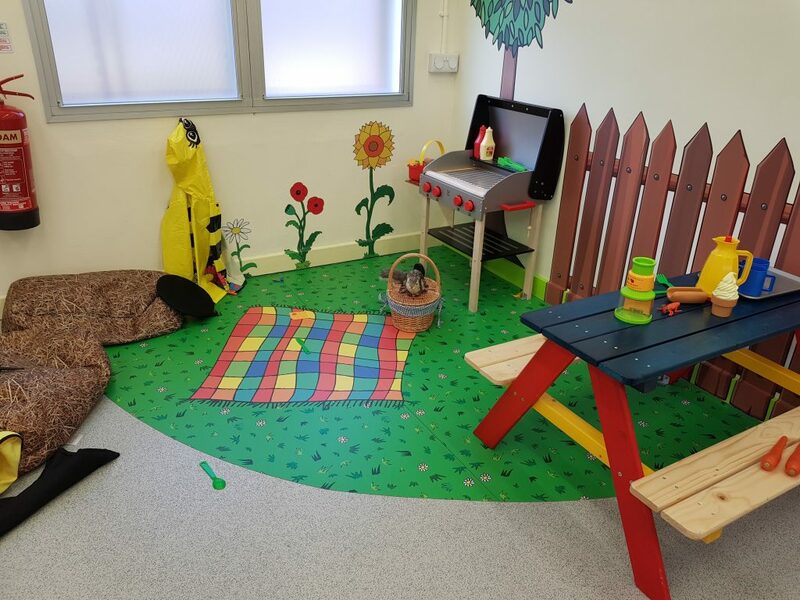 Each play session lasts an hour and a half which is plenty of time for the little ones to play and explore. In between each session the lovely staff put each prop, ride on and dressing up item back in its exact spot, ready for the next set of eager visitors. 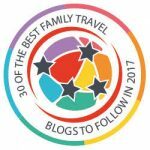 Little Street is aimed at children up to 7 years old, and during our visit my 2-year-old and 6-year-old certainly put it to the test! 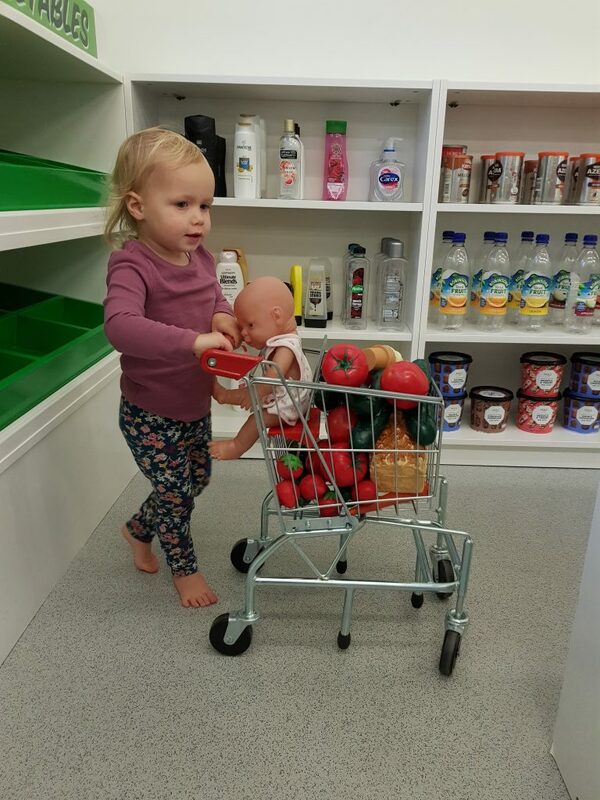 Baby DLT absolutely loved the supermarket, and the trolley that she could use to collect bits and bobs from the shelves. 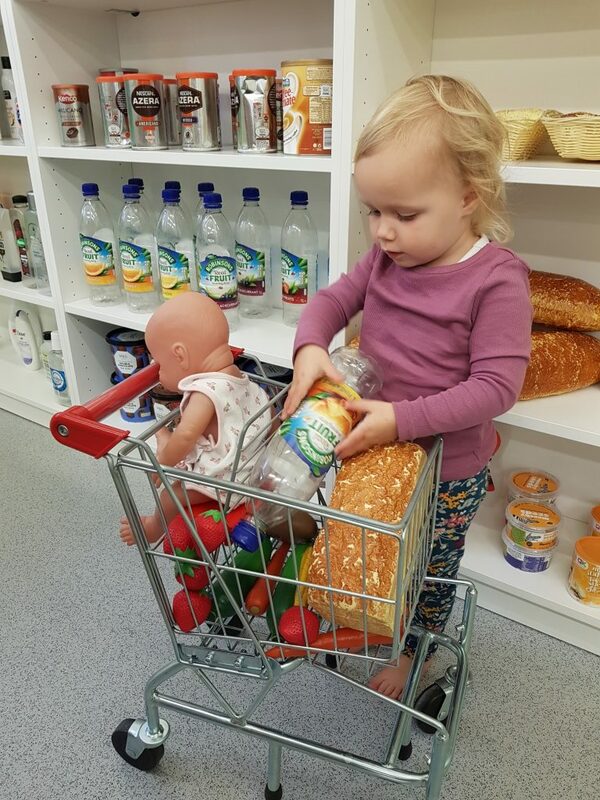 She actually held on to her trolley most of the visit and took it all around the play area. 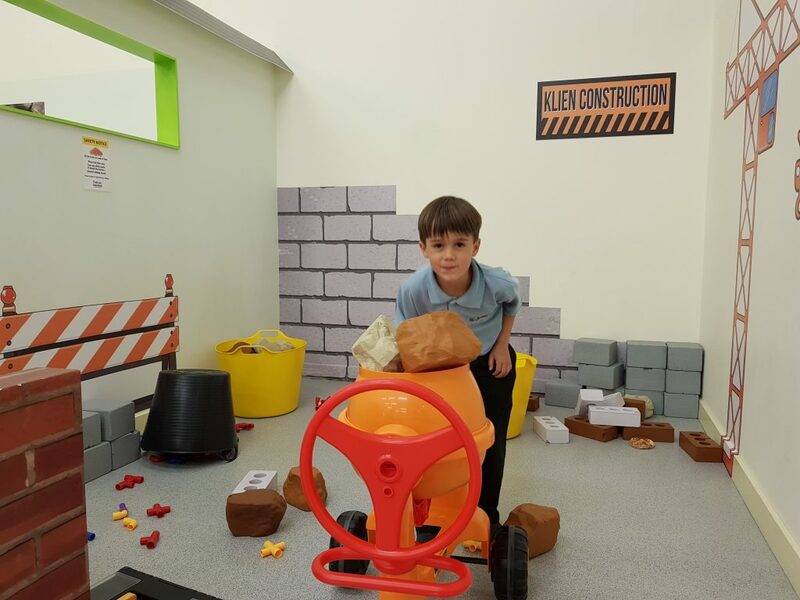 My 6-year-old loved the ride on cars and the construction area, where he spent ages balancing bricks and rubble pieces to build an epic wall! 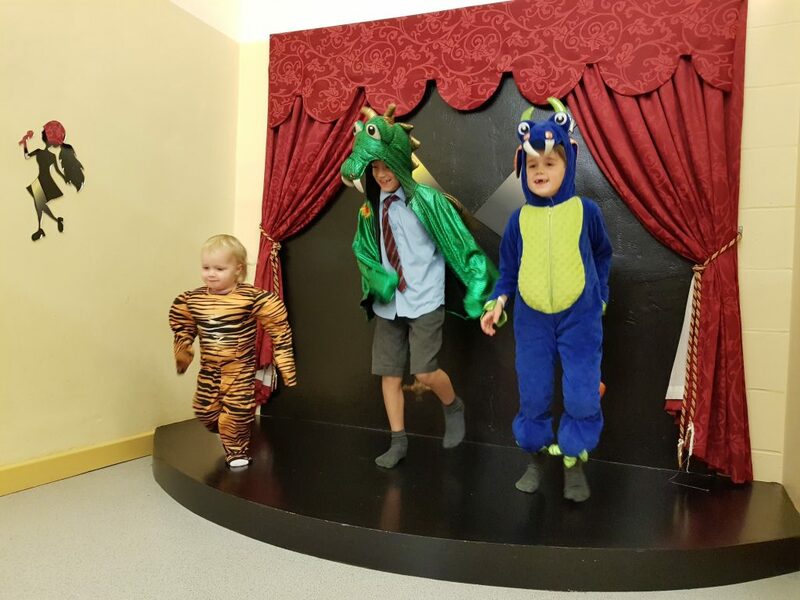 A firm favourite was the theatre, where the boys dressed up and put on a show for their sister, which she found hilarious! So much so that she just had to join in herself! 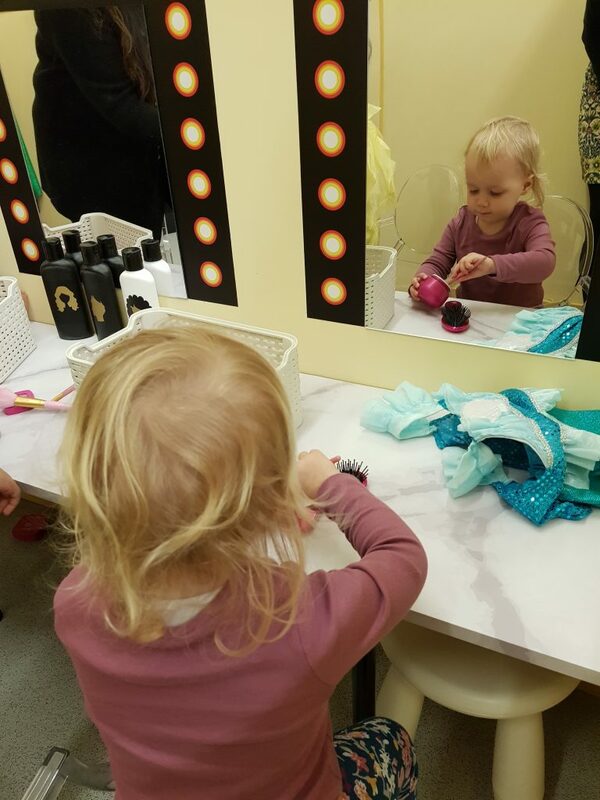 I’m not a big wearer of make up, but Baby DLT has obviously been watching my morning routine and was delighted to copy in the gorgeous little theatre dressing room! 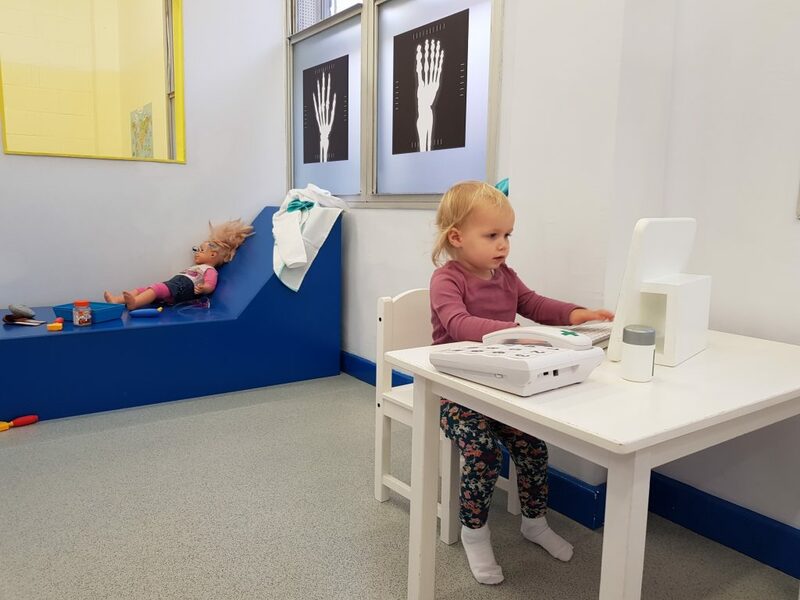 I think my favourite area was the medical centre, where I watched Baby DLT so carefully look after both her big brother, and the doll who resides on the bed. 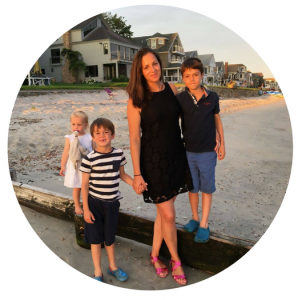 She gave them both a full check up before asking “better now?” It was very sweet! 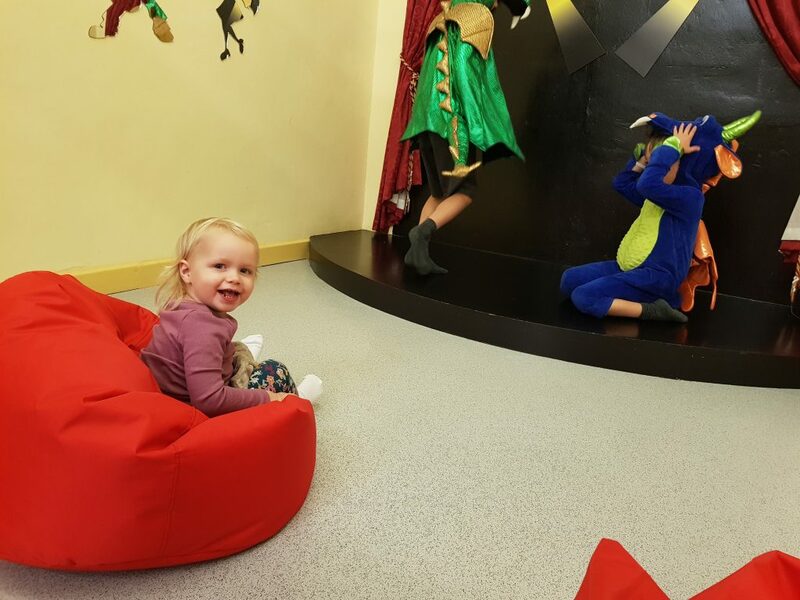 Alongside the play area is a cafe area with ample seating, and they offer a selection of both hot and cold drinks as well as snacks and cake. 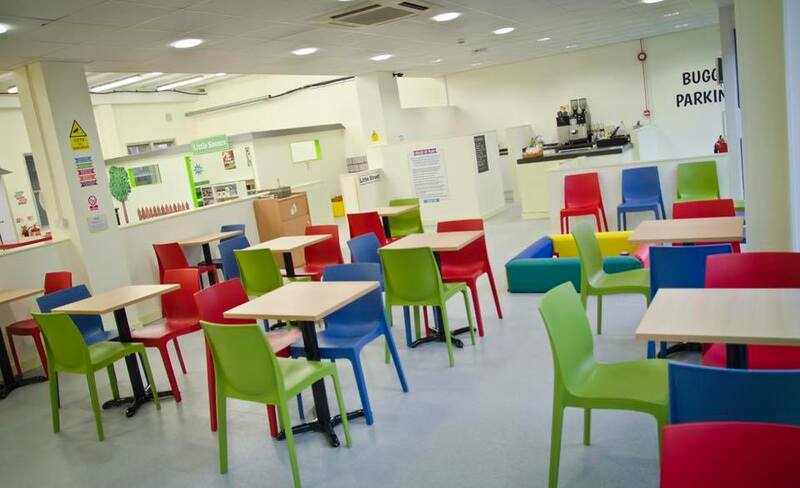 The cafe overlooks the play area, so if your children are old enough and confident enough to play without you by their side, then you could easily sit and enjoy a cup of tea whilst watching them having fun. During our visit, my 9-year-old actually sat and did his homework in the cafe, whilst I supervised the other two, and it was easy for me to check back on him every now and again. The thing that struck me most about Little Street West Byfleet, apart from how fun it was for the kids, was just how bright and clean it was. This is not something I generally say about a kids play cafe! In fact the previous cafe with soft play that occupied this site before Little Street came along was worlds away; dark, busy and not very clean! 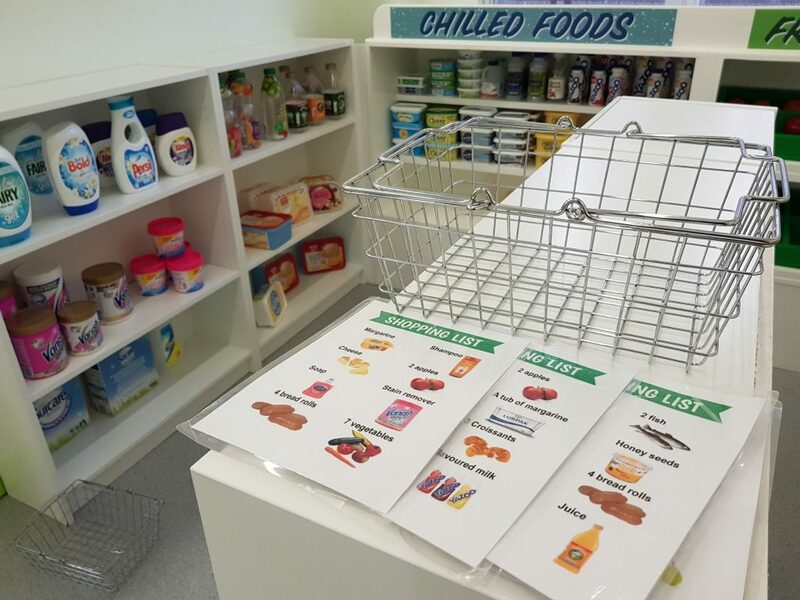 The staff must work constantly to upkeep the cleanliness as well as the tidiness, and it most certainly shows. 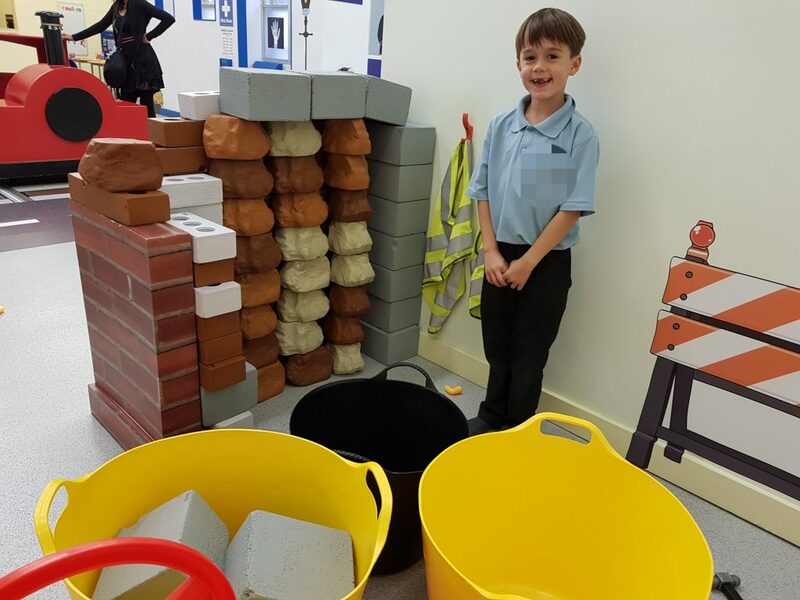 My kids (including my 9-year-old who came in to ‘help’ his little sister) absolutely loved their visit to Little Street West Byfleet, they talked about it all the way home and have asked to go back. 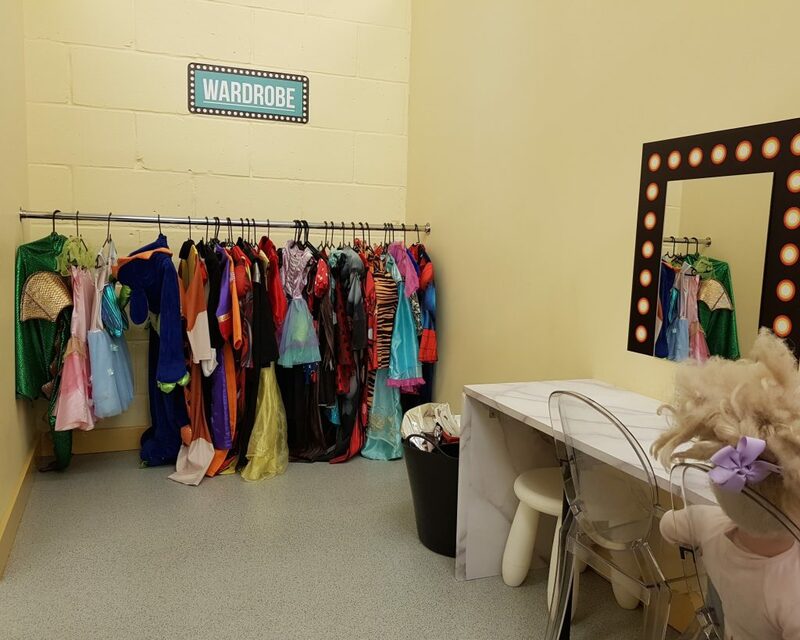 As a parent I thought it was fantastic; it was bright and airy, calm and not too busy, not too big that you lose sight of your children but big enough to keep them entertained, it was super clean and the props, ride ons and dressing up items were all in great condition. Add on to that a reasonable price tag, and great coffee and cake, and I think we have most certainly found a new favourite local play cafe! 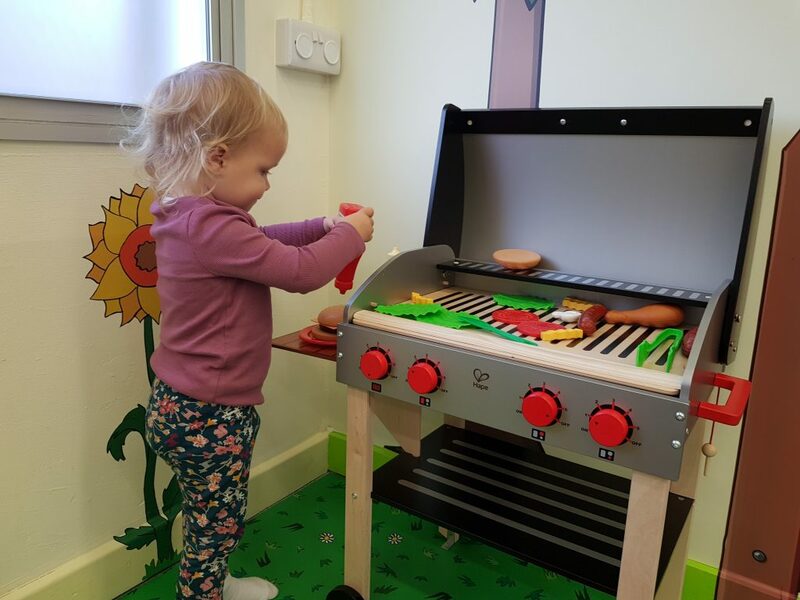 Little Street West Byfleet is open 7 days a week and offers four play sessions lasting 1.5hours each. 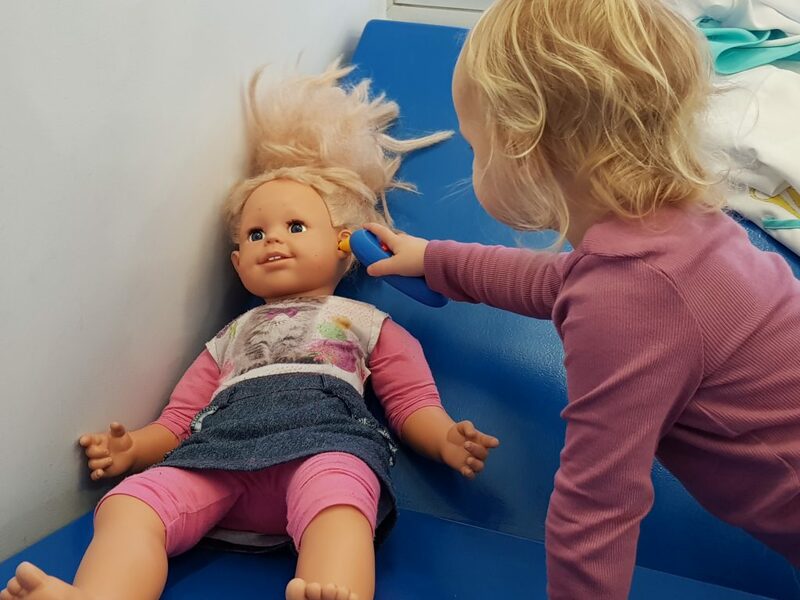 Play sessions run at 9.30am to 11am, 11.30am to 1pm, 1.30pm to 3pm and 3.30pm to 5pm. Additional Adult – £3.50 (£3.75 at weekends and during school holidays). 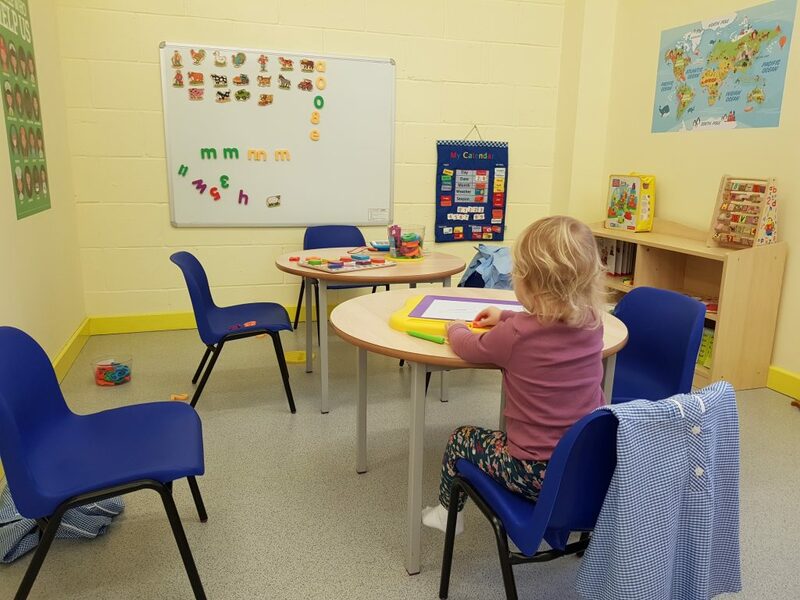 Discounts available for childminders – contact Little Street West Byfleet for more information. Advance booking is advised, and can be made online. Located right next to West Byfleet rail station. Parking is available on nearby roads. Everyone in the play area must be wearing socks! I didn’t realise this and as Baby DLT was not wearing any, we were kindly given a pair from behind the counter. 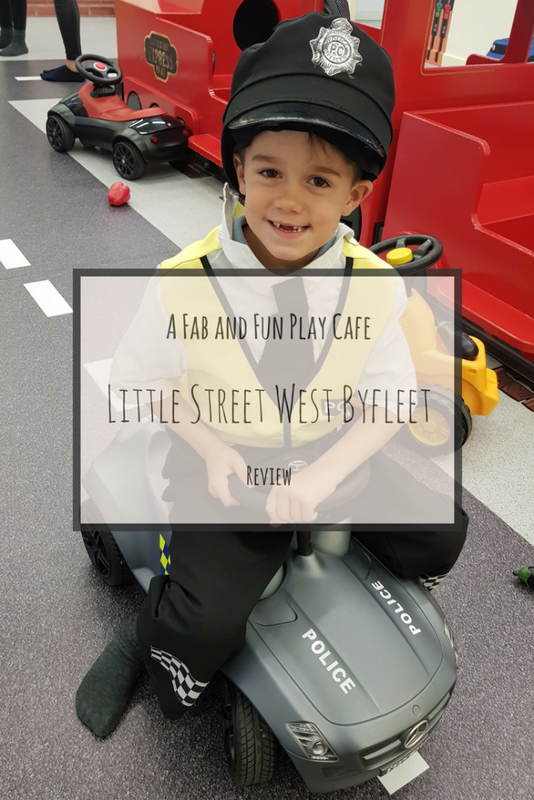 Disclaimer: We were invited by Little Street West Byfleet for a free play session in return for an honest review. As always, all opinions are my own.